Nicholas Russo is a network consulting engineer with Cisco, CCIE, CCDE, author, Marine, and programmer. Follow him on Twitter, LinkedIn, and his site. I studied Computer Science in college from 2004-2008 and, at the time, found data networking to be quite dry. Many CS majors dropped out in their first trimester to become IT majors. We smug programmers labeled IT as “I Tried” since it was considered to be a less prestigious career choice. By 2011, while deployed to Afghanistan with the US Marine Corps, I was convinced of my folly. I quickly realized that the world of IT was impossibly complicated; business/organizational tie-ins, endless technology turnover, interoperability considerations, and much more. I decided that this was for me, and after leaving the service, got hired as a network engineer with a large company. While my official “IT” training started in 2009, I would not consider myself proficient until early 2012. Unlike many, I’ve never worked in a classic IT environment like “Enterprise IT” or any kind of NOC-style job. I’ve always been a network engineer on some kind of R&D or on-site customer support role, and I am thankful for it. My friend made a very good observation this week when trying to piece together all the reasons why the current wave of centralization (cloud) and simplification (fancy GUIs) are the rage today. Of course, there are benefits to use cloud-based services and having easy to use GUIs, but she had the wisdom to connect it to the current state of the world economy. As automation starts to consume blue-collar jobs in factories and assembly lines, these people need to work elsewhere. I personally believe many industries which were traditionally white-collar will slowly morph, at least in part, to organizations where hiring less skilled laborer to push buttons on a GUI will do the job. IT is ripe for it; it means employers can pay employees less to work in the dreaded “cost center” and hopefully get better ROI if the network can be just as good, or better. Extensive buzzword usage. I know it’s been around for awhile, but I feel like it’s worse now than ever before. Our buzzwords are so vague and ambiguous that they cannot even be reasonably defined anymore (SDN is a great example). I’ve lost the stomach to even have theoretical arguments about it, since you’re really just debating opinions now. It’s like politics except with an IT flavor; mostly fact-free and emotionally charged. Movement from mastery of CLI commands to mastery of business-driven design. As an engineer, I do not get excited about balance sheets and income statements. The bottom line, to me, is what I see when I “tail -1” a file. You don’t have to care about corporate finance or growth to be a good business-driven designer. Understanding the high level drivers, then translating those into functional and technical requirements is becoming a basic skill. I am not seeing many organizations interested in hiring keyboard drones these days. Most modern requisitions would support my observation. Your app can’t save you now! I’m pretty old school with organization. It’s called pen and paper. Write down a task with an empty square to the left of it. X out the square when complete. Use a highlighter to mark priority tasks. This is a tried-and-true method and I’ve been doing it since middle school. There is nothing wrong with having a few different lists (one at work, one at home, etc.) I am not much for consumer technology like “smart” house hold devices, fancy apps, and similar items. Besides, there is something inexplicably fulfilling about X’ing off a task, particularly the difficult ones, once you complete them. Also consider that a fair portion of my job is conducted in physical spaces where electronics are not permitted. Your app can’t save you now! Do not become overdependent on anything in life. I’m reading Testing DevOps by Katrina Clokie. I’ve been working on automation with Ansible quite a bit, and understanding the DevOps model within the context of networking is something I’d like to learn. I wish I remembered the hardware model, but it was a late 1990’s laptop, with Windows 95. It only supported gray-scale and had a serial port for a mouse. I don’t remember the CPU or memory specifications, but the HDD was 55 MB. It had a 3.5″ floppy disk, and I actually used this device for homework assignments through high school. Copy the Word document to the floppy, move it to the “downstairs” computer, and print out whatever I needed. Weightlifting, guitar playing (not as much as I’d like), and spending time with my family. I am specifically omitting topics like reading, studying, tinkering with new technology, as it probably counts as “working in IT”. I don’t. I believe that proper nutrition, exercise, and rest is all you need to be refreshed and productive. Regardless of your “when did humans come to exist” views, mankind has been around for thousands of years, at least. I’m reasonably confident not everyone had access to caffeine. I consider caffeine a tool for emergency situations only; the last time I had caffeine (Red Bull) was while taking a very hard test; I slept poorly the night before due to stress. The time before that, I cannot even remember, as it was likely sometime around 2003. Jeff Doyle, Russ White, and Ivan Pepelnjak. “Rule 11 is your friend” from Russ White. It sounds like a stupid, tongue-in-cheek graybeard comment at first. The meaning is more subtle but very powerful. It references RFC 1925 effectively stating that there is nothing new under the sun. I remember when VXLAN came out and the buzzword soup associated with it, plus all the cool stuff it could do … it was overwhelming. It was stressing me out since I really didn’t have time to dig into what appeared to be an endless list of topics. Thanks to Russ, the light bulb switched on and I started the see through the chaos, understanding that it was yet another tunneling protocol. It allowed me to focus on the differences, and within a few hours of reading and lab testing, I felt like I understood it. 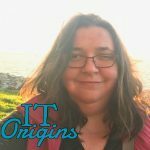 Interested in participating in the IT Origins series? Shoot Gestalt IT an email with the subject line “IT Origins”.